Nine years (+1 day) ago, Nice Tall Guy and I were officially married at a courthouse in Atlanta, Georgia by Judge Pinkie Toomer. 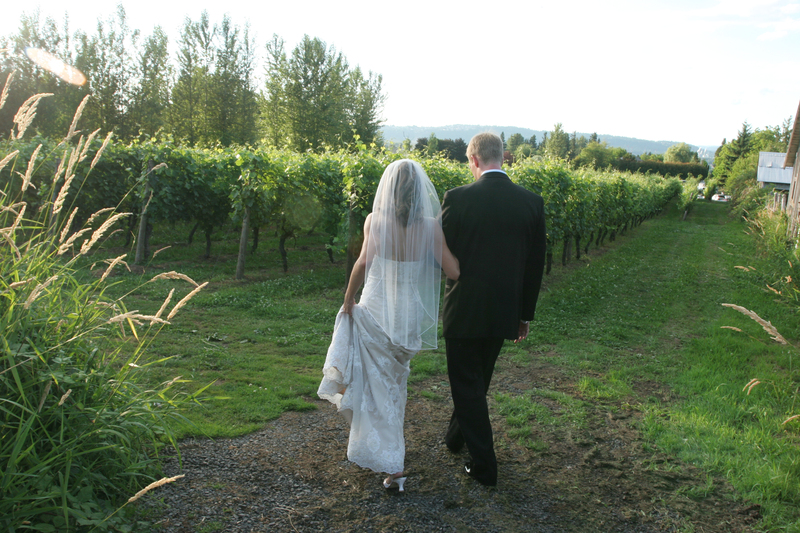 We were planning a wedding with friends and family the following summer, but for practical reasons (i.e. so Nice Tall Guy could take advantage of in-state tuition for the graduate program he was attending), we decided to make it official before the next semester started. So, we have a wedding anniversary and this other day we’ve taken to calling, Pinkie Toomer Day. But the funny thing was, despite our best efforts to not make our courthouse marriage a big deal, it was (and still is) a really special day. A few thoughtful friends surprised us by attending the courthouse “ceremony”, and adorning me with a wedding veil and a bouquet of flowers. And though I can’t remember the specifics, Judge Pinkie Toomer delivered a beautiful speech about love and commitment. Afterwards, we went to the newly-opened aquarium and then had a decadent dinner. It was lovely and special and silly and different, and just ours. And over the years, I’ve realized that Pinkie Toomer Day’s power is in its unexpectedness. Sometimes when you’re not expecting to find meaning, joy and beauty, those moments carry the most magic. Happy Pinkie Toomer Day to all, today and everyday. Posted in family, love. Tagged courthouse, friends and family, Pinkie Toomer, wedding anniversary. Heather, I enjoyed reading your post so much! I’m curious: is Pinkie Toomer a man or a woman? By the way, if I understand it, your courthouse wedding was on 12/16, yes? That’s (probably) Beethoven’s birthday (he was baptized on Dec. 17th, 1770), as well as mine, and the anniversary of the Boston Tea Party. So, in the future when you celebrate Pinkie Toomer Day you can play some Beethoven and add in a bit of rebelliousness for a good cause! Yes, 12/16. Happy (belated) birthday, Cheryl, and so wonderful to know you are in good company. Hope you had (are still having?) a lovely celebration. That’s so cute! I didn’t know about Pinkie Toomer. What a neat story, Hapbelated Anniver…er, Pinkie Toomer Day! Wish I could have been there to meet Judge Pinkie.